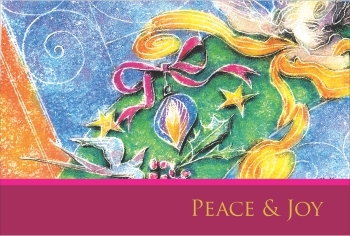 A stunning Holiday Greeting card by artist, Heather Holbrook. Heather has created a colourful card featuring doves, ribbons and stars. This card is sure to be very popular.